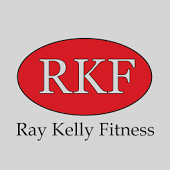 Ray Kelly is a Kamilaroi man with 28 years experience in the health industry. He provides lifestyle management programs that aim to reverse type 2 diabetes and heart disease. Type 2 diabetes is a reversible disease, so why aren't we seeing it? Australia’s fastest growing disease is not only preventable but also reversible. There is a very good chance it has killed someone you know and love. Whilst type 2 diabetes itself doesn’t cause death, the complications brought on by it do, quite often in the form of heart disease. However, researchers are unanimous in the fact that the disease is reversible and that losing weight is the way to do it. So why is the government and heath agencies dragging their feet? That is what I would like to know! It was back in 2006 that I first realised that what I was I had been taught at university was not quite effective. Sure, it worked for some people, just not the majority. So I started researching obesity related illnesses and their treatments and what I found, even back then, blew my mind. I began to implement these strategies and could not believe the results! This led me to start travelling to the largest International scientific obesity conferences each year. This changed my world forever! I was introduced to a world of knowledge and scrutiny like I had never seen before. The knowledge was very similar to what I had been reading more recently, yet very different to what I had learnt at university or the advice given by health professionals. Sure, there were some disagreements between researchers on details but there was no doubt that there was a chasm between the advice we were currently giving, and the research being presented at these conferences. Mingling with these great minds gave me confidence and over the years I have developed a program that utilises the latest research, and far exceeded even my own expectations. We’ve seen 53 shift workers at the Arnott’s biscuit factory lose 643kg in 10 weeks, 100 GWS Giants fans lose 1,612kg in 12 weeks (over the phone! ), and people in remote NSW communities be taken off insulin by their doctor. The results are there. All of these people had either type 2 diabetes or heart disease and each improved their condition, many reducing or eliminating medications. We have been able to show that a scalable, cost effective format can be provided to all Australians who suffer from obesity related disease. This has all been supported by a government report released last week. Last year the Western Australian government held an investigation into the role of food in treating diabetes. They had leading researchers present to their committee and they travelled the globe to learn from programs where diabetes was being reversed. The report released a few days ago, reported that the government didn’t really know how many people with diabetes there were, and exactly how much they were spending on treating the disease. It was also noted that the indirect cost to the economy (time off work and welfare payments) exceeded the costs of directly treating the disease. On reversing the type 2 diabetes, they found that weight loss was the key to achieving remission. Also, that meal replacement shakes and low carbohydrate diets were very effective and should be formally offered as management options. Bariatric surgery should also be offered for those with major metabolic conditions. In essence, they have provided a comprehensive plan to combat chronic disease in their state. But will this just fall on deaf ears? The fact is we have known type 2 diabetes has been reversible for many years. Back in 1984, Professor Kerin O’Dea showed how the disease could be reversed in 7 weeks through lifestyle change, and there has been much done since then. Professor Mike Lean has recently shown that weight loss programs provided by medical centres can provide great long term outcomes for patients with type 2 diabetes. Almost 50% of all patients were in complete remission of diabetes and high blood pressure with an average weight loss of just 5kg. Of those who lost 10kg or more the remission rate increased to 75%! Millions of dollars are pumped into treatments each year and even though the outcomes are poor, there is very little evaluation of our practices and outcomes. It seems that even though researchers agree that lifestyle management programs are key to success, they are mostly given lip service and the primary treatment is in the form of medications. This format has been proven to be highly ineffective, as highlighted in the Grattan report of 2016, ‘Chronic Failure in Primary Care’. So, when will the treatments we have access to fully align with the latest research? How many more Australians must die prematurely? There is no doubt the paradigm shift is happening!